As a country, we have a major decision to make about Europe this year. No, I’m not referring to the European Referendum to decide if we stay in the Union or not, but whether or not to have a full blown party or an intimate evening in for the Eurovision Song Contest this Saturday. Whether you’re inviting everyone you know round to your place to enjoy the competition with Mediterranean dips and a buffet of European nibbles, or if you’re planning a quiet night in for some private flag-waving, make the evening an occasion by decorating your space with Eurovision Pop Art. You don’t have to be a supporter of the European Union to be a fan of the Song Contest; there are many advocates of “Brexit” that love the festival of “song” that is the Eurovision. There’s something heartwarming about diverse nations gathering together to compete in a friendly way, and it could be argued that the Eurovision has done more for peace in Europe than the MEPs in Brussels have managed to accomplish. Originally created to bring European nations together after the Second World War, the contest has produced singers and groups who endure to this day, as well as creating its own brand of Euro-Speak song titles which transcend language barriers. 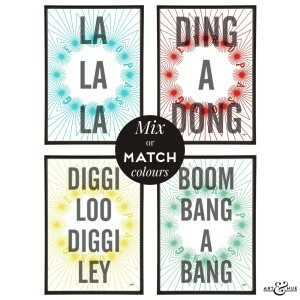 Who can forget such classic song titles as “Boom Bang a Bang“, “Diggi Loo Diggi Ley“, “La La La“, & “Ding a Dong“? Well, not Art & Hue! The song titles have been turned into pop art featuring graphics similar to the iconic 1960s Eurovision logo, available in a range of colours as well as a rainbow blend. 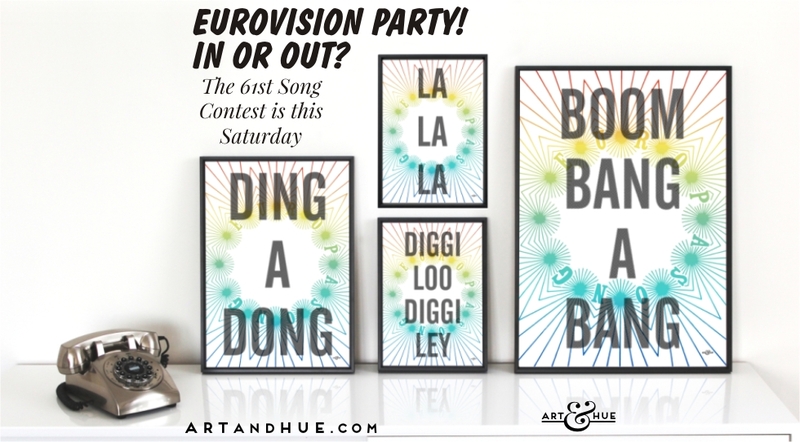 If you’re in the UK, order your Eurovision Prints by Wednesday night at the latest to make sure they get delivered to you in time for the grand final on Saturday. 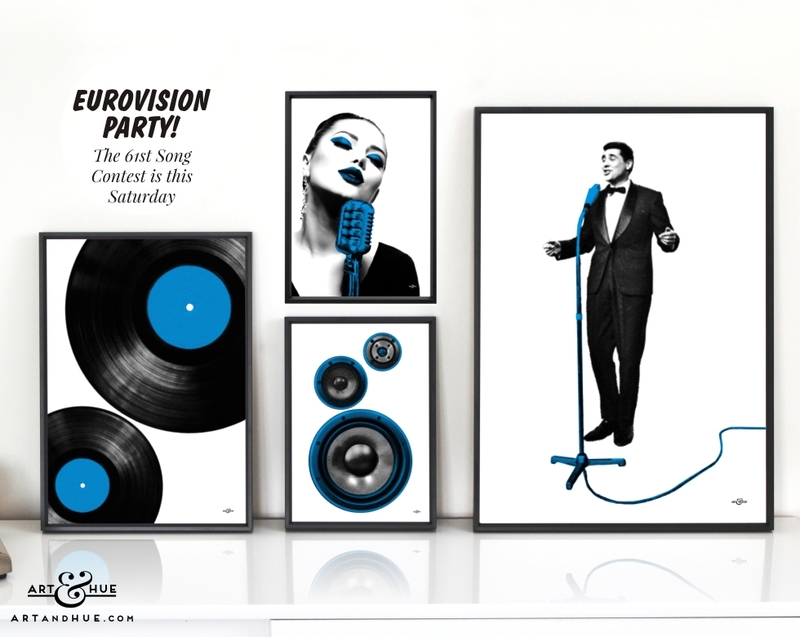 They’ll make Eurovision night more of an occasion and once the competition is over, you can store them until next year and fill your picture frames with art that speaks to you year-round.